Tennessee has a variety of scenic backdrops, fun things to do, & romantic getaway spots to offer to the lovers on valentine day. Go ahead and check out the best of the ways in which you can be with your lover and celebrate your love in Tennessee with style and passion. Celebrating valentine day can't be complete without the inclusion of the valentine gift basket full of cookies, valentine cookies and chocolates and the best of the local gourmets packed in one basket and decorated with the best of the flowers from the local florists. 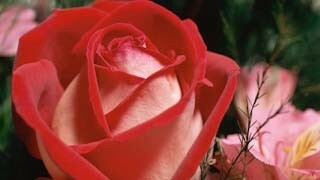 Giving bouquets of lovely romantic flowers and roses to your lover is also facilitated by the local florists. Contact your rental cabin company for preferred florists in the Smokies. A quiet night out with your lover in some mountaintop cabin or mountain chalet is the right idea if you love silence and solitude. The mountain or ridgetop resorts in the best of the tourist destinations offers the most favorable of the weekend package deals meant exclusively for lovers to enjoy. The other methods of enjoying your valentine weekend with your lover are going for rafting to the big pigeon river or go for a horse ride with your lover to the smoking mountain hills. You can even go carting at the thunder mountain theme park inside Dollywood, and can experience the punch of thrill and joy in unison. You can enjoy your weekend stay at Aunt Bug's Cabin Rentals, LLC that offers you numerous weekend facilities. Their cabins have private indoor swimming pools, saunas, jacuzzis, and hot tubs for your romantic getaway. On your drive to Gatlinburg, you can enjoy the wonder scenic beauty and experience the best of sight seeing facilities. You can also go out to the best of the local restaurants where you get the best of the local cuisine prepared exclusively for this occasion. You can also enjoy the best of the local restaurants at Bullfish Restaurant, Lil Toyko, or Cherokee Grill which also gives you a fine dining experience with a serene ambience, as well as a candle light dinner with your beloved. A visit to the Acorn Cabin Rentals is a must while in Tennessee to enjoy the company of your loved one. You'll share the communications, memories, and emotional bliss that you may have been starving for in your everyday routines. While you are here, you can make sure to visit Dollywood Theme Park, Tennessee Shindig, and also the Smoky Mountain National Park if hiking is one of your passions. The idea of romantic valentine parties by the water falls or the romantic camps along the national parks makes the occasion of valentine day in Tennessee a more memorable experience. 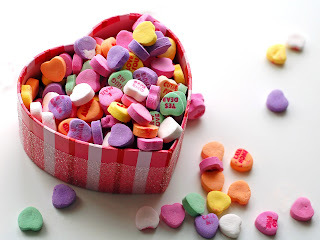 On Valentine's day the world over spreads the message of love for the lovers and friends in unison, but just like every other nation even Tennessee has some special activities & places to visit to contribute to the valentine jubilations. We hope your Valentine's Day Getaway with your loved ones is a special time this year in 2011! Come to the Smoky Mountains to capture loving memories that will last a lifetime.